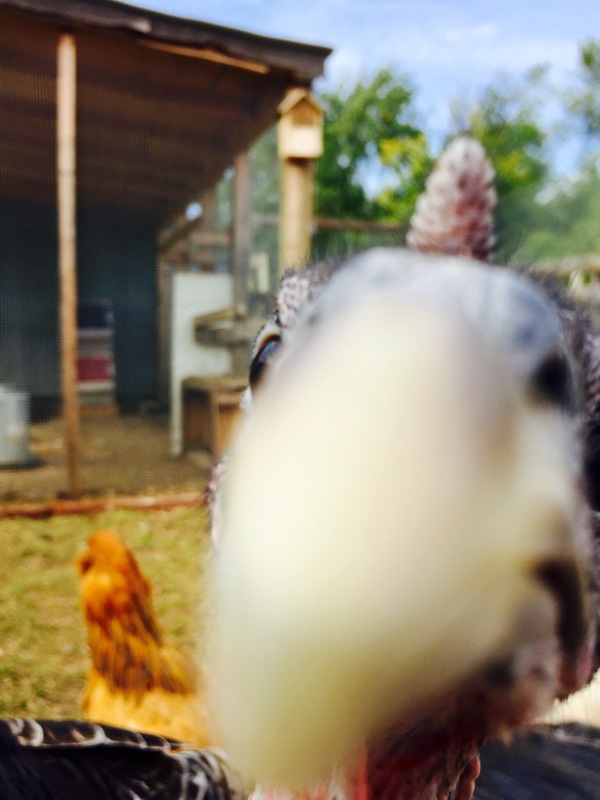 When taking photos of farm life you have to accept the fact that some birds just like the camera more than others. This was shot with my iPhone. I was trying to showcase the size and beauty of my turkeys prior to butcher day. I swear….I really wasn’t trying to look up her nose! Crazy turkey!